Voted best clothing boutique and best place to shop for Burning Man by the Reno News & Review readers poll year after year. 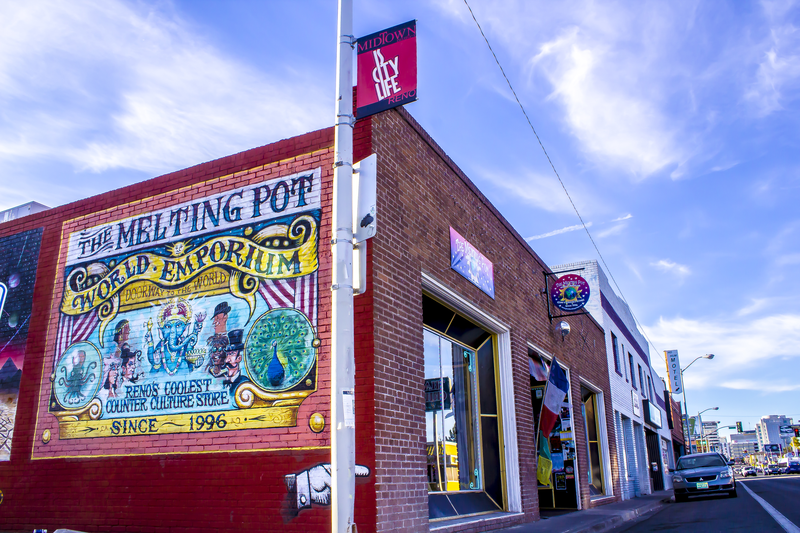 The Melting Pot World Emporium has been Reno’s coolest counter culture store and a doorway to the world for the past two decades. Voted best clothing boutique and best place to shop for Burning Man by the Reno News & Review readers poll year after year. Locally owned and operated by the husband and wife team of Eric and Monique Baron. We take pride in our strong ties to the community and support the performing arts as a ticket outlet for many of the best local shows and performances in the Reno/Tahoe area. We feature women’s & men’s clothing from around the world. Our styles range from cutting edge couture to extreme tribal to casual street wear and everything in-between. We specialize in unique items from fair trade manufacturers as well as small indie designers. We also sell home decor, art, jewelry and a plethora of accessories. Our pipe room is one the longest running and well stocked smoke shops in Northern Nevada. Some of the products we sell include goggles, body paint, makeup, tights, tutus, corsets, lingerie, belly dance apparel, party wear, yoga wear, faux fur, steampunk gear, hats, flasks, hip belts, prayer flags, statues, incense, tapestries, cards, candles and so so much more. Our friendly and helpful staff take pride in their excellent product knowlede and good old fashioned customer service.